One story living in desirable Hasbrook neighborhood! 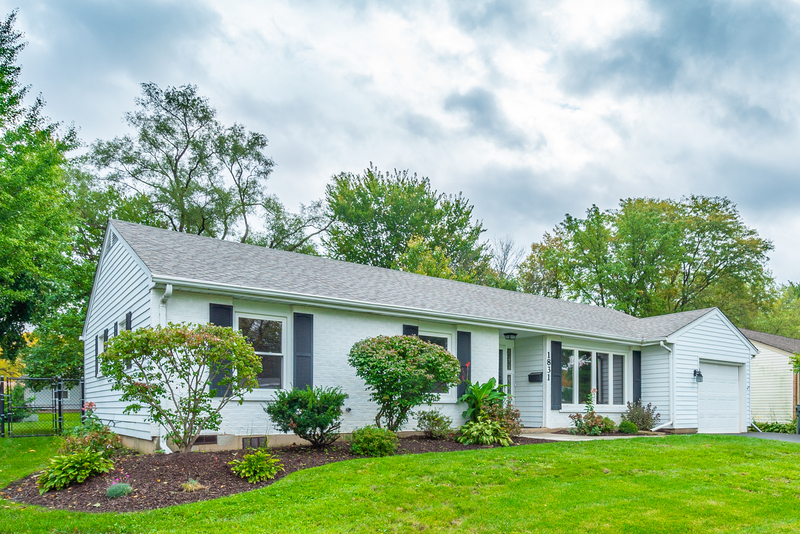 Remodeled spacious 3 bedroom, 2 bath ranch home with formal dining room and the den. Just refinished dark hardwood floors and fresh neutral designer paint. Gorgeous recently remodeled kitchen with 42" maple cabinets with espresso finish, crown molding, granite countertops, glass backsplash and an under mount double sink. Beautiful porcelain tile floor extends from the kitchen to the dining room with sliding glass door and access to a large deck. Master bedroom with oak floor, overhead light, wall closet and attached full master bathroom. Fully fenced yard. Oversized 1.5 car garage. Brand new tear-off roof, newer furnace, water heater and new driveway. Award-winning schools: Patton,Thomas & Hersey high school. Close to fantastic parks. Convenient location, easy access to Rt.53, downtown Arlington Heights, Woodfield Mall and more!